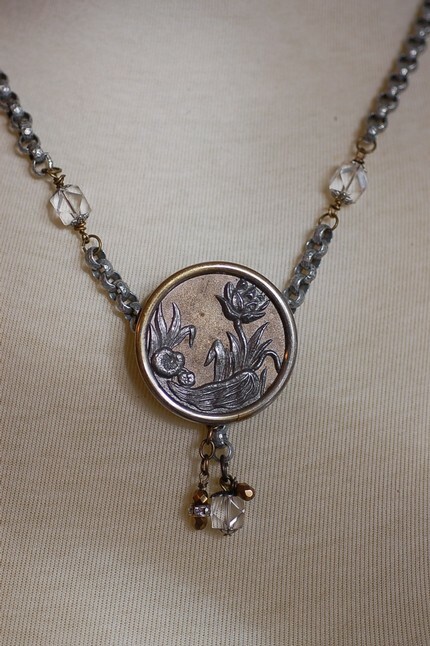 A lovely vintage button is connected to aluminum rolo chain and vintage crystal beads. 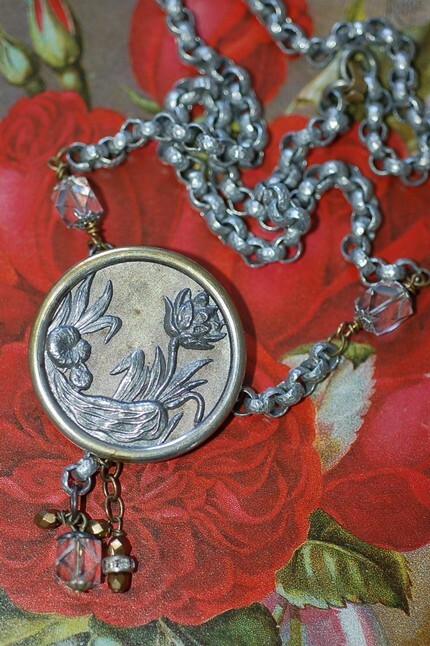 This beautifully detailed pond scene depicts a Waterlily in silver and pewter tones. A lovely golden patina frames and contrasts this miniature work of art! 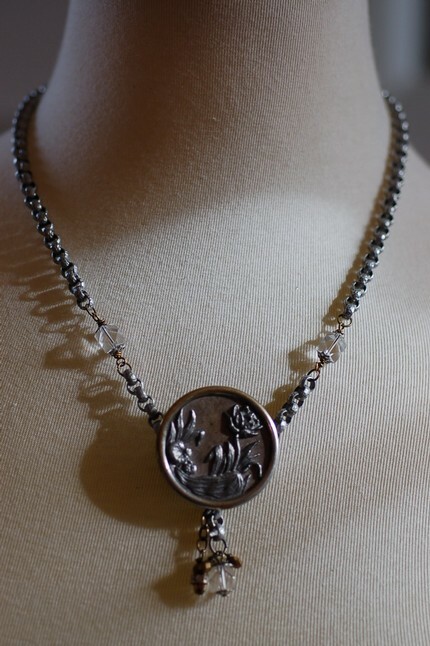 More chain, crystals, bronze Austrian beads and rhinestones dangle fron the pendant. The button measures 1 1/2 in. with a chain of 18 in.and vintage brass foldover clasp.